Lack of humor is no less frightening than lack of mercy. Stanislaw Lem’s works can be roughly divided into fiction, essays, apocrypha (texts about non-existent texts) and complains about the literary critique. It may seem strange that a popular writer, whose books have been published all over the world, grieved that reviews did not do him justice. Over time, on both sides of the Iron Curtain enthusiastic, in-depth, competent articles started to appear, such as the extensive texts of „The New York Times Book Review”. 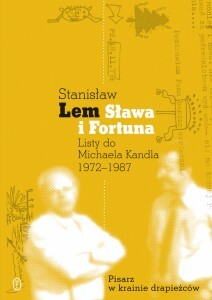 However there were few general overviews combining elements shared by a number of works and presenting universal attributes of Lem’s literary output. Most lemologists — usually humanists — were somewhat crestfallen by the spectrum of knowledge and erudition of an author who „like an intellectual bulldozer with astonishing ease dug through all possible fields of human cognition”1. 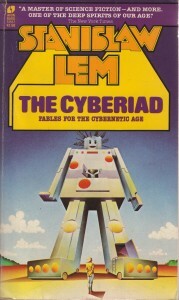 Lem’s reception was also disturbed by the stigmatizing „science fiction” label. As soon as this treatise appeared in print (at my own expense), I rushed out into the street, certain that the people would lift me up on their shoulders, crown me with garlands, shower me with gold, but no one, not even so much as a lame cybernerian, approached with words of praise.